Its 50-strong delegation said it would address questions on Monday, when the session in Geneva continues. It has previously denied the existence of such camps. 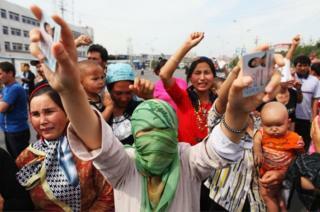 The Uighurs are a Muslim ethnic minority mostly based in the Xinjiang province of China. Xinjiang is officially designated an autonomous region within the country, like Tibet to its south. 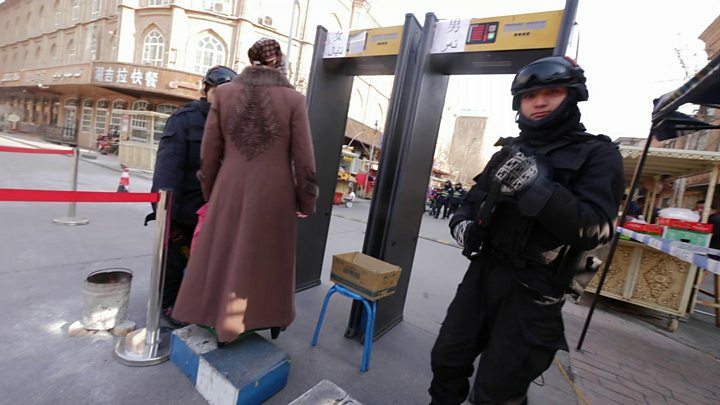 Reports of increasing detentions of Uighurs and other Muslim minorities there have been circulating for some months. What is Beijing accused of? The Chinese government denies the existence of these camps. The claims come on a day of worsening religious tensions elsewhere in China. In the north-western Ningxia region, hundreds of Muslims engaged in a standoff with authorities on Friday to prevent their mosque from being demolished.